We offer more than the melt value if you have branded or designer jewelry, Pawn Rolex, Cartier, Tiffany and more. 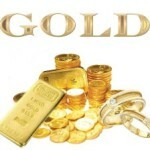 Selling gold is great for many people but for people who don’t want to sell their gold but still need money you can take advantage of pawning your items and getting your jewelry back at the same time can be a win-win situation for both parties, we will give you a full price loan for your items and you can pay it back within 4 months and get the best price for your jewelry guaranteed. We test and weigh the gold right in front of you and based on the days current price for the gold and the purity we will arrive at the amount for your gold loan. 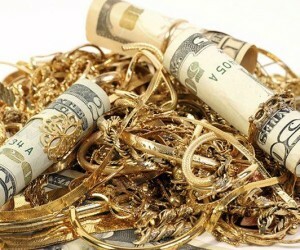 We make the process pawning your gold safe, easy, fast and free with a no hassle policy we just give you 100% of the value and charge you a low interest fee for your gold, there is also no pre payment penalty in getting your items back from our pawn shop early. We make the process very easy, have 2 locations one in NYC and a Pawn Shop in Queens. Pay the highest prices, cut out the middleman and pass the savings to you. Our NYC Pawn shop is open 6 days a week from Monday – Saturday from 10am-6pm and we recommend calling in advance to schedule an appointment, or if you are unsure of an item we may or may not buy to save you a trip we recommend calling our pawn shop in advance. We strive for customer satisfaction and want you to leave a positive feedback or review on many of our third party pages like our yelp, facebook, google+, bing and other review sites. We welcome all honest reviews and take our business seriously and are always looking for ways to improve our pawn shop for everyone’s benefit. While it is true that there are more pawn shops in NYC to choose from not all are alike. We have a low interest policy that when compared to other NYC pawn shops we simply blow them away. We have and offer super low interest rates and have deals for new customers (Get loans as low as 1%) and offer payment plans, options and as always offer the most cash for your items that you want to pawn. We specialize in pawning gold, diamonds, watches like Rolex, Cartier, Hublot, Patek and other high end luxury watches; we also provide loans for electronics, cell phones and anything to do with the Apple brand. We are located in midtown Manhattan near all major subways and buses and strive to be the best pawnbroker in the NYC area. We have a safe and secure office where your items will be stored in our vault and you will get the maximum value out of them period. We are open 6 days a week and have flexible hours to cater to everyones needs. We offer a fast service and you can be in and out on your lunch break. We keep our interest rates extra low and have flexible terms when paying for your loan. We have a safe and discrete office and your transaction will be handled in a professional and secure manner. We truly care about our clients by paying competitive prices and will beat any written appraisal by a competitor.